This tape allows you to broaden your study on motion. 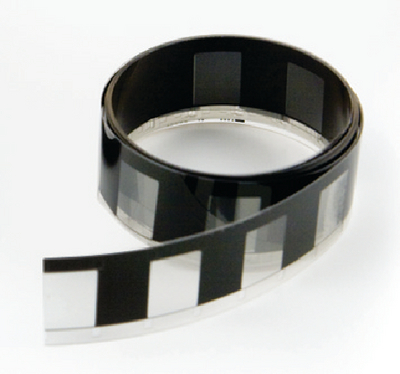 Use the flexible plastic tape with the Vernier Photogate to study motion while expanding your experiment capabilities. Attach the tape to objects and use it like you would a ticker tape timer or convert the bar tape into the Vernier picket fence. You can explore motions of objects like toy transportation vehicles, the motion of a person as they walk away holding the tape, and much more- the possibilities are endless. The kit includes a three meter section of bar tape that has alternating transparent and opaque bars, four O-rings to attachment, and a guide for Vernier Photogates.